The native red squirrel (Sciurus vulgaris) is rare in England and Wales and has been replaced by the introduced grey squirrel in much of its range. The red squirrel is still abundant in parts of Scotland and Ireland with isolated populations in Wales and the north of England. Threats to the red squirrel include habitat destruction, disease and interspecific competition between grey and red squirrels. The Trust is currently engaged in research, surveys and monitoring the distribution and status of red squirrels in those areas of Wales where red squirrels are present, including Clochaenog Forest in North Wales and in the mid Wales forests. Further research will include looking at the interaction between grey squirrels and pine martens. Research from Ireland and anecdotal evidence from both Ireland and Scotland suggests that where pine martens are doing well grey squirrel numbers are declining and this is having a beneficial effect on red squirrels. Number of young:One-six kits (usually three) born in spring. Diet:Seeds and nuts of various trees. Habitat:Woodland. 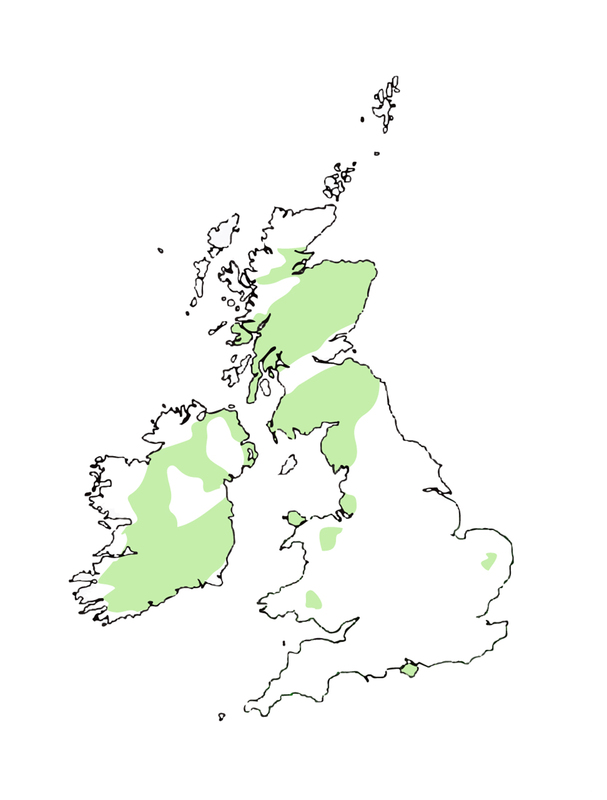 Population density varies with habitat, Hazel, beech and Scots pine preferred.